Forest City is an unincorporated community in Keener Township, Jasper County, Indiana. It was named for the native forest at the town site. Forest City is located at 41°11′41″N 87°16′00″W﻿ / ﻿41.19472°N 87.26667°W﻿ / 41.19472; -87.26667. 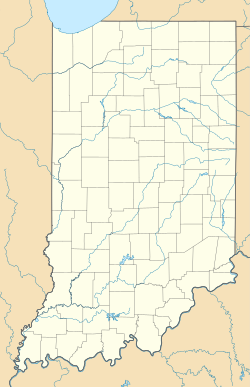 ^ "Forest City, Indiana". Geographic Names Information System. United States Geological Survey. Retrieved 2009-10-17. This Jasper County, Indiana location article is a stub. You can help Wikipedia by expanding it. This page was last edited on 16 May 2018, at 12:21 (UTC).